We recorded this week’s pod in between Jalen’s appearances on various ESPN studio shows, as he is giving the people what they want on television from Bristol this Monday. We started the show breaking down the big Sunday matinee Bulls vs. Knicks game, which featured heroic performances by Carmelo and Iman Shumpert. 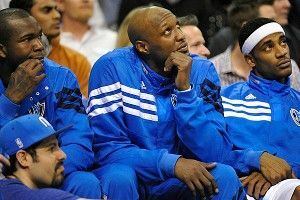 We then moved on to the Lamar Odom weirdness in Dallas and the Spurs’ winning streak, before turning our attention to hickey-gate and the budding Kanye West-Kim Kardashian relationship.